Previously, on MinerBumping... Governor MrLee led Harmony Order corporation into a disastrous war against the mighty CODE. alliance. In a series of increasingly desperate moves, Governor attempted to transform his highsec PvE corp into a nullsec renter alliance. To protect their fellow EVE players from being victimized by Governor MrLee's scam, our Agents camped out in the Harmony Order rental channel. It was unmoderated, so they took charge of it. However, they eventually saw Governor join the channel. As ever, he maintained his vow of silence. Agent Viirilithizu Ward knew that although Governor didn't speak, he did listen. So she offered him a warning: Harmony Order was still under investigation. Meanwhile, members of CODE. 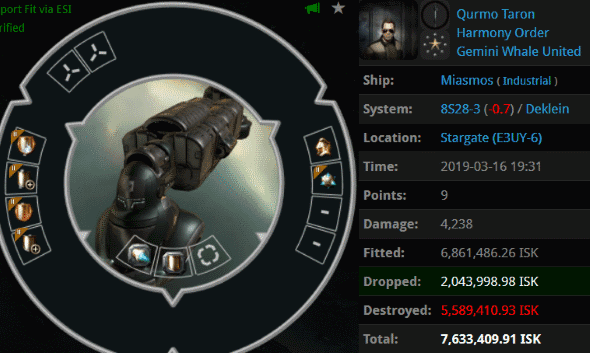 's own New Order Outreach Division, operating deep in nullsec, detected signs of Harmony Order activity. They took swift action. But it appeared that Harmony Order was keeping one foot in highsec, too. 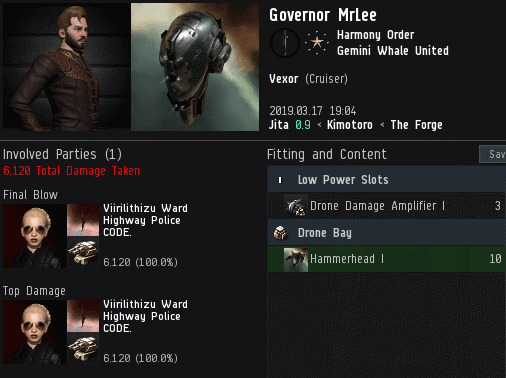 Viirilithizu had the pleasure of ganking Governor himself in Jita. As usual, he said nothing in his defense. Harmony Order's recruitment efforts had been halted by the previous wardec with CODE., but Governor's ambitions only grew. He recruited more corporations into Harmony Order's alliance, Gemini Whale United. Our Agents doubted that these new corps were being properly vetted. It was only a matter of time before Governor's terrible decisions caught up with him. He refused to speak with anyone from CODE., but his silent treatment wouldn't work on the rest of his alliance. In the privacy of the alliance channel, he had to answer to his colleagues. Governor's corpmates were unsparing in their criticism. And they knew where the bodies were buried. 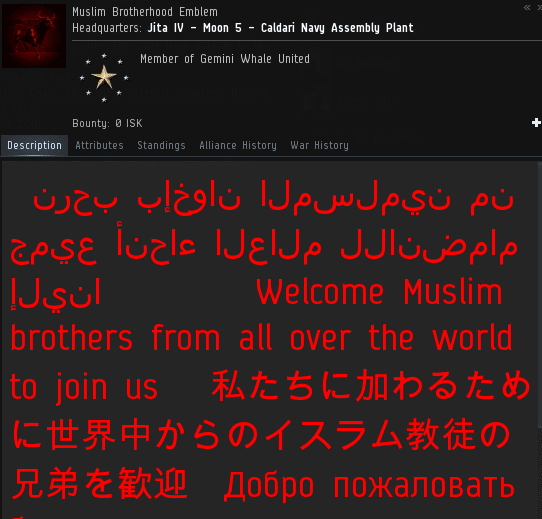 After being chased out of highsec by CODE., Governor had sent his precious newbros to live in an active war zone in nullsec. Having been trained only to dock up whenever CODE. entered local, they were totally helpless. In an astonishing act of greed and cruelty, Governor accepted a deal with his nullsec hosts in which the alliance of newbies would pay for the privilege of ratting on the front lines. Governor had thrown them all to the wolves. In response to the slaughter, Governor now felt he had no choice but to order the survivors to make the trek back to highsec with whatever assets they still possessed. The question remained: Would anyone still follow Governor? Or would they rebel against him, just as Governor had rebelled against the Code? Jamey and his chode. slaves must be seething that Governor MrLee continues to deny them salt tears by refusing to convo with them. I suspect that a Bonus Room/Erotica1 like request has been made multiple times, only to be ignored. Delicious. The salt you spew here makes up for it. Wow! Governor MrLee is an especially terrible CEO, a real slave master. I thought maybe he just didn't have any diplo skills, but now I see he just doesn't care about his people. I'm glad agent Ward and all the other agents decided to help these poor players out. Anyone who wants to fight these evil "carebears" that use you and betray you for money, convo or email me in game. We can discuss embracing pvp and becoming an agent of the New Order. If pvp is too much for you, you can still do your part by following the Code and getting a permit. Don't listen to this chode. slave, he is evil incarnate and a Jamey bootlicker. Is he worse than Hitler? Being that eve is a fun video game let us choose. Chodeanon = miserable forum warrior who mines in highsec. Ahhhh i will have to think about that choice. Splendid work by our Agents - I am enjoying this epic story! Governor MrLee clearly has no idea what he is doing. Some people shouldn't lead. LOL renting space in a warzone. They got scammed by Dorkness.